Trading without leverage is like driving a Lamborghini in first gear: you know it’s safer, but that’s not why you bought it. Well, maybe, anyway. A little story: my first boss at Deutsche Bank drove a white Lambo to work daily. Driving in Hong Kong can be rough. Because of the topography and traffic, driving fast is very difficult. I asked him where in HK he could really go with it. He replied, “I didn’t buy the car to drive fast”. Legend. Last week, the PBOC announced it was conducting on-site inspections of the largest Bitcoin exchanges. Almost immediately, Chinese traders began reporting that margin trading had been disabled. This week, the exchanges confirmed what was already known: margin trading is toast. Trading Bitcoin in China is not about getting money out of the country, it’s just the latest asset retail traders could freely trade with leverage. Due to a lack of investment options, Chinese retail traders gravitate towards any asset which is volatile and where a positive return can be earned. Chinese financial regulators will tolerate insane price action and large trading volumes for a time. But if it appears too many ordinary comrades will lose their shirts, they’ll step in to stop the party. Ironically, the market intervention usually leads to a disorderly crash. After reaching a new all time high, the PBOC sprang into action and poured cold water on Bitcoin. The PBOC is hardly finished. On January 18th the PBOC declared that the investigated exchanges offered illegal margin trading and did not properly conduct KYC and AML procedures. They implored traders to take the illegal operations of these exchanges into consideration before trading on the platforms. The PBOC will either close the offending exchanges or issue fines. I don’t believe the PBOC wants to push Bitcoin trading underground. They can exert more control by co-opting the leading exchanges. The CEOs have no choice: follow instructions, or lose their businesses and brush up on their soap handling skills. The likely outcome is fines. The magnitude of the fine speaks to how much humble pie the PBOC wishes to administer. Even though trading fees are zero, depending on the size of the loan book, exchanges can earn handsome profits through margin trading. The first profit center is the daily funding rate. Chinese exchanges charged between 0.05% to 0.10% per day to borrow CNY or XBT. At 36.5% per annum on the high end, an exchange could borrow money from WenZhou loan sharks and still have positive carry. The second profit center is rehypothecation of assets. Margin trading happens on the spot orderbook. If you sell Bitcoin, you buy CNY. Exchange rates are just interest rate differentials. You pay a rate to borrow Bitcoin, and receive interest to loan out CNY. However, the exchange does not provide any income on the CNY realised. If the other side is a leveraged Bitcoin long, that makes sense. The counterparty has borrowed the CNY, that CNY is allocated as collateral for a leveraged trade. It cannot be lent out again without risk of causing cascading margin calls should the original position be liquidated. If the counterparty is an unleveraged buyer, then the exchange now has extra unallocated CNY that it can lend to another speculator. The reverse is true if a speculator buys Bitcoin and sells CNY. They do not receive any interest on the Bitcoin received. The money multiplier will vary depending on the ratio of levered to unlevered speculators on the exchange. The exchange can fund a portion of its margin book at zero cost from the positions of its clients. The PBOC destroyed the margin trading money printer. What will exchanges do in response to regain lost earnings? The zero-fee model that begun in China is catching on worldwide. The next largest Bitcoin trading pair after CNY and USD is JPY. Japanese exchanges also do not charge execution fees and they offer up to 25x margin trading. Western exchanges are also beginning to follow suit: Coinfloor, of the UK, just announced that it too will move to zero trading fees. Chinese exchanges will have to wait out the PBOC. The PBOC’s 2013 proclamation that financial institutions could not trade Bitcoin caused the large exchanges to lose their corporate bank accounts. To survive, a voucher system arose whereby clients sent CNY deposits to third party voucher sellers who magically were able to fund exchange bank accounts. After the PBOC lost interest in Bitcoin, direct deposits resumed. Chinese exchanges must lay low until the party congress in October. If they attempt any workarounds to the “ban” on margin trading, punishment will be swift and severe. 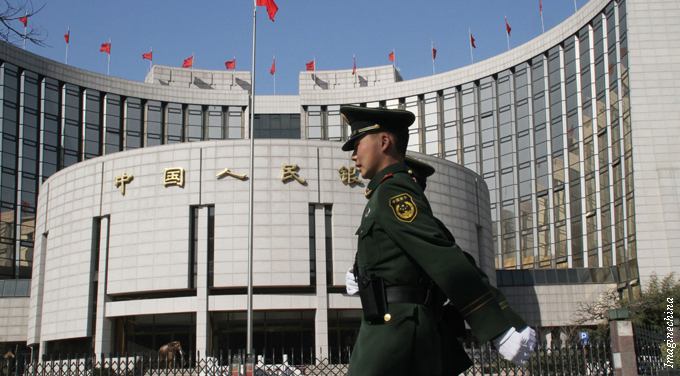 After the leadership has been shuffled, the PBOC may tolerate more volatility in the country’s financial markets. At that point in time, creative ways of offering leverage to trade Bitcoin onshore will emerge.